A mostly interesting, mostly charming look at the twilight world of one of Britain’s iconic animals. It does a good job of going into the history of badgers and discussing why they’re seen as pests, when they started to be rehabilitated, even a little about one of Britain’s more famous badgers (the one from The Wind in the Willows, of course) and his author. It’s part natural history, part social history, and then veers into the modern problem of badger culling, etc. Quite interesting, but I skipped some chapters because they didn’t interest me, and there was a slight tinge of superiority in Barkham’s attitude in some places. It’s a little dry, but not a bad guide; I only really skimmed parts of it, because I know a lot of this info about geology. It is interesting to see some things that people think they know being examined and the foundations weakened, though. The title put me off this right away, the opening chapter helped somewhat because it promised to be more than a parade of curiosities, showing some sympathy and understanding, but ultimately I didn’t feel it did really manage to rise above that. There was a lot of reiteration about ‘circus freaks’, etc, and I don’t think it got past the novelty factor of such cases. There were some rather odd assertions — that the figure of Atlas could’ve been inspired by people with a developmental issue who ended up with a globe of brain matter sticking out from their shoulders, for example; it seems a rather ridiculous idea to me, and I couldn’t find anyone else saying the same thing. And saying Janus could’ve been inspired by cases where faces appear on both sides of the skull — maybe, but I think it more likely it’s a metaphorical depiction arising from what the god was said to do. The science wasn’t particularly in depth or surprising. I don’t think anyone denies that developmental factors can be as important as genetics during gestation. The title makes this sound… odd. It made me worry that we were going to end up laughing at the plight of people with neurological disorders and defects, the first time I heard of it. But I was assured that Sacks was, overall, a decent guy, so I decided I probably should give it a try — especially since it’s one of those books that everyone seems to associate with neurology. Some of Sacks’ language is horribly out of date now (it’s jarring to read about ‘retardeds’, etc, even if the word was more acceptable then and had a medical meaning), and I can sympathise with people who felt that some of the language was too technical — it wasn’t to me, but I’ve had plenty of exposure. I think it mostly avoided the ‘freak circus’ effect, with a kind of tenderness about most of the cases described. One or two points I disliked were when Sacks tries to decide whether or not amnesiac people are ‘de-souled’ — so dehumanising and just… not appealing — and one where he made a kind of connection with a patient, or thought he had, and then immediately pulled back to avoid… what? Communicating honestly with a patient, getting into their world a little bit? Maybe I would see that differently as a doctor, but reading it, I couldn’t help but think what an opportunity was missed. Not all of the cases are fully described here, with the ins and outs and whys and wherefores; sometimes a diagnosis is assumed. 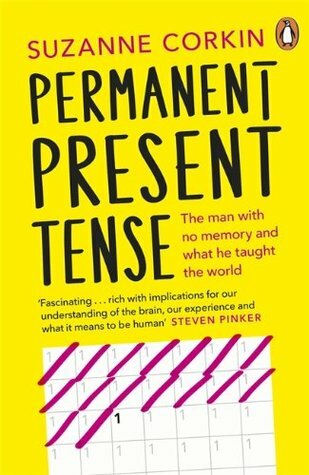 But it is an interesting account of the many ways the human brain can go wrong, and the unexpected effects it can have. 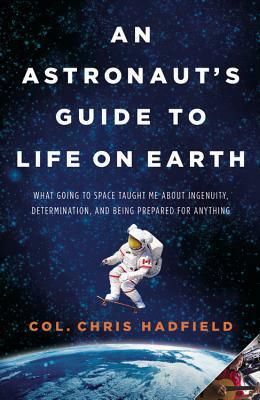 I’ve been meaning to read this forever, after getting quite into the videos Chris Hadfield posted and the stuff he tweeted when he was on the International Space Station. This is both less glamorous than you’d imagine an astronaut’s book to be, and more practical in terms of actual advice about everyday life. There are details about NASA, about what it’s like to fly a plane or go into space, etc, but there’s also a lot about being a team player, communication with family, and all sorts of ordinary things that maybe you wouldn’t think an astronaut would talk about. Overall, Hadfield comes off as a down to earth (ha) and likeable guy, with a sense of humour about life and humility about his achievements, even though they’re pretty epic achievements. I found his book mostly interesting, although sometimes talking about bureaucracy was just bewilderingly frustrating — and why should he have exploratory surgery to prove that he doesn’t need exploratory surgery again? Aaargh, world, you are weird. It’s mostly not really about being an astronaut. It’s about loving your job, working hard, and trying to be a decent human being. The moments of wonder are there too, but this is mostly about the road taken to get there. Quite a hefty collection of pictures to colour here, and an amazing variety, from twee fairies to Chinese dragons and back through mandalas to flowers. 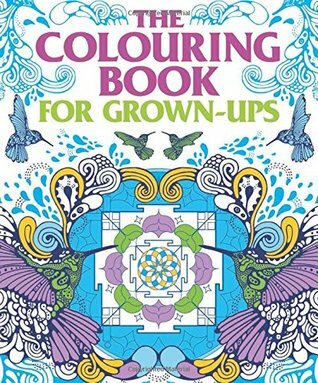 It really is just colouring, with no doodling or mindfulness advice, though there is a bit of advice on colouring and using your imagination in the front, which I duly ignored. I’m also duly ignoring the fairies and so on; I really prefer to colour patterns, I’ve found. There’s still a fair amount of that in here. The paper is quite thin, so if you’re going to use felt tips or markers, you need to put a piece of paper between the pages to protect the next design. Unlike some other books, though, it doesn’t have designs on both side of the pages, so you don’t end up ruining anything as long as you remember to put a piece of paper behind the page you’re colouring. 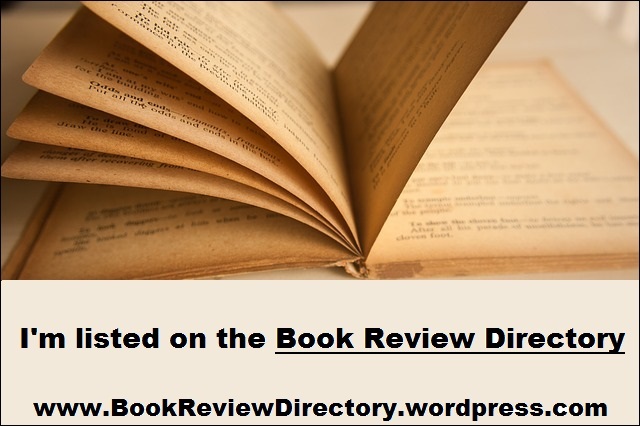 The first thing you should be aware of about this book is that Suzanne Corkin was one of the people who did most research with Henry Molaison before his death, even involving herself in who was his guardian and the arrangements for what would happen after his death. She liked him, and clearly thought that he was a good man, but she also remained first and foremost a researcher. So she was pleased when, after his death, they successfully removed his brain intact for study. If that’s going to bother you, this may not be the book for you; Corkin remains a scientist primarily, throughout. For me, though, it was fascinating. It explains a lot about the various different tests that were done on Henry Molaison, yes, but it also describes his willing cooperation, his character, the way the operation which took his memories affected him, even his sense of humour and the things he enjoyed. According to Corkin — and I’ve heard nothing to contradict this — he was happy to offer himself up for research, happy to contribute to medical science. It ends up being a touching account because of that: the number of people who cared about what happened to him, about his legacy, and the number of people who benefited because of his willingness to be studied. Of course, you can question whether he would have been so willing if he remembered the immense number of trials he was run through, the sheer amount of time he spent in the labs. Probably not, I would think — it requires an immense amount of patience, after all. But if he had his memory, he wouldn’t have been the object of so much study, so it’s a bit of a circular argument. I would be interested in reading a book about the ethics behind all the experiments run on him and if any of them caused him any distress, etc, but as it is here, it doesn’t seem so — and certainly the fact that he was closely monitored at all times made sure he received good medical care throughout his life. It’s difficult to construct a continuous narrative of a life as necessarily fragmented as Henry’s, so Corkin follows the progress of study on his brain instead. It’s not primarily about H.M. in that sense — except that without him, those advances couldn’t have been made. 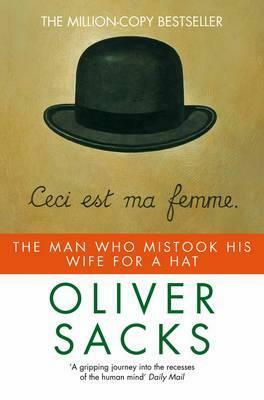 I think it still brings across a tenderness and affection for the man, despite Corkin’s academic interest.